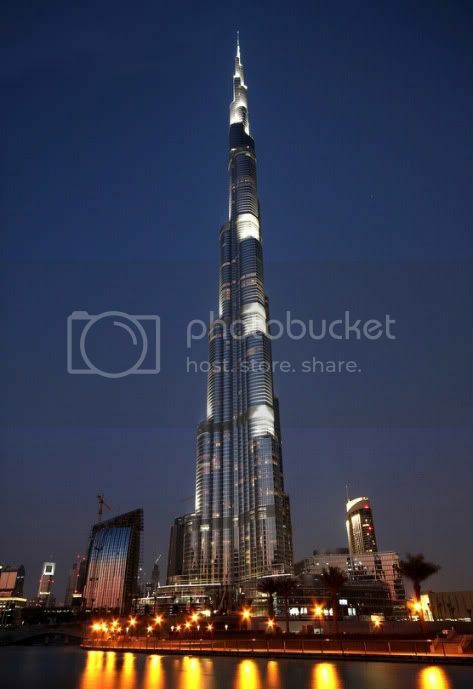 The world's tallest building was revealed to the public standing 828 meters or 2,716 feet high. It has trumped the last record holder, Taipei 101. 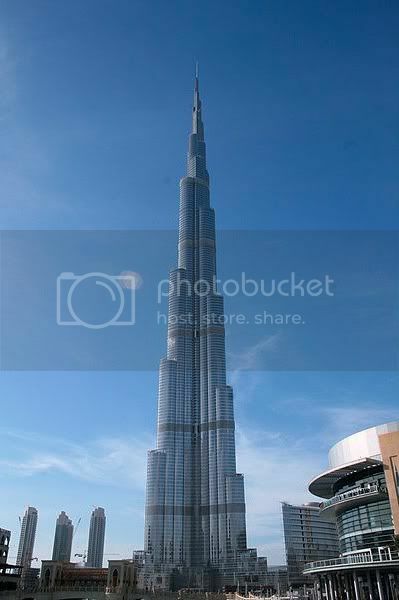 The Burj Khalifa was previously known as the Burj Dubai. It has been officially named after Abu Dhabi's leader, Sheikh Khalifa bin Zayed Al Nahyan. This after it gave Dubai $10bn to stave off its debt. It started construction in 2004 and completed after almost three and a half years. It has 160 floors and more than 500,000 sq m of space for offices and flats. Residents of the tower is reported to occupy the tower this month. It claims to have the highest occupied floor, the tallest service lift, and the world's highest observation deck which is located on the 124th floor. The world's highest mosque and swimming pool will be on the 158th and 76th floors according to reports. Click "Read More" to view a night shot of the tower and how it dwarfed the previous tallest buildings. Burj Khalifa houses 1,044 luxury apartments, 49 floors of offices and soon a 160-room Armani-branded hotel. Estimated residents is 12,000. What was selling for $2,700 per sq ft are now half that commanding price. 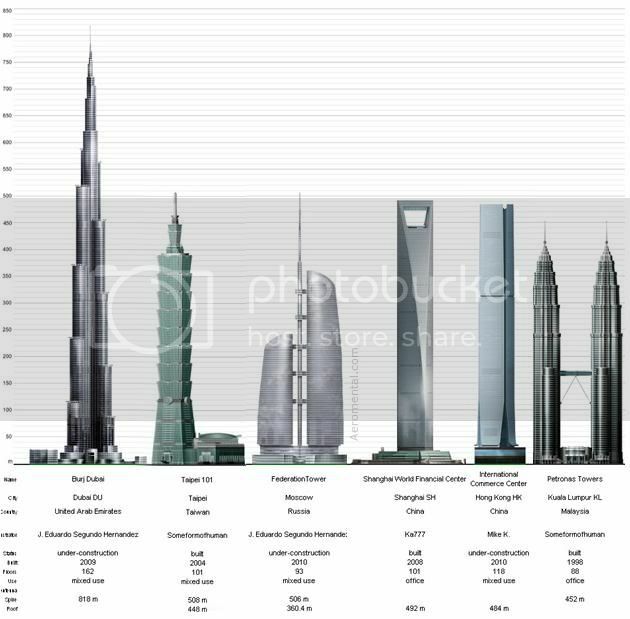 Question: What Is the World's Tallest Building? It depends on who does the measuring! Skyscraper buffs disagree on whether features like flagpoles, antennas, and spires should be included when measuring building height. Also under dispute is the question of what, exactly, constitutes a building. Technically, observation towers and communications towers are considered structures, not buildings, because they are not habitable. They do not have residential or office space. Now, supposing we included spires, flagpoles, and antennas when measuring building heights. In that case, it might not make sense to distinguish between buildings and towers when ranking building heights. If we rank all man-made structures, whether or not they contain habitable space, then the CN Tower in Toronto, Canada ranks near the top. Measuring 553.33 meters (1,815 ft., 5 inches) tall, the CN Tower is surpassed by only the Burj Dubai.